A new year starts, and with it my list of music and books for the previous year. 2016 was an interesting year musically. The year started with the release of Kokori's first album, Rootkit. 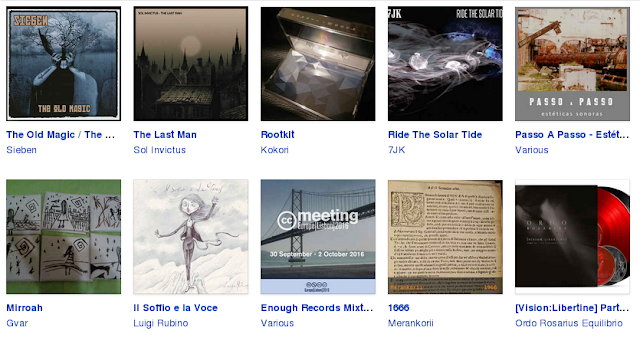 Kokori, an industrial duo from which I am 1/2, had released several EPs and singles in the past, but Rootkit not only is our first album, but our best work so far, IMHO. Later in the year, "The Sky Is Concrete, The Stars Are Bullet Holes", one of the album's tracks, was also present on the "Passo A Passo" compilation, and Enough Records' CC Meeting mixtape. Also from my musical projects, Merankorii - my solo project - released the single "1666", 350 years after the Great Fire of London occurred, with a track that came from the 2014 album "Synthetic Works". Matt Howden's projects "Sieben" and "7JK" had an excellent new album each. "The Old Magic", under the Sieben moniker, is available with the companion CD "The Other Side Of The River", which manages to be the highlighted disc from the bundle. While 7JK changed its formation slightly, the new album manages to be even more powerful than the first one, and from it I'd like to highlight the opening track "Liftoff For 7JK". Sol Invictus is back, and will present us with a new album in 2017, one which I plan to get. For a band with such an huge discography and without a big sonority variation along the years, this is the kind of band one can easilly fall into skipping one or another release. However, in 2016 the single "The Last Man" was released, and boy - those are two strong and surprising tracks. I can't vouch for the album yet, but this single is a must-have. The obscure and mystical project GVAR leaked again, this time the album "Mirroah". More mature than its debut "Vraii", the parallel-universe DVARish concept is kept strong, and GVAR stays as a must-follow project to every DVAR fan. Luigi Rubino (probably best known as Ashram's pianist) released a new solo album, after its 2009 debut. The new album is not surprising - it packs what one would expect - but it is still a very pleasant album to listen again and again. Also unsurprising but excellent is the latest Ordo Rosarius Equilibrio album, "[Vision:Libertine] Part III - The Hangman's Triad". Conceptually and lyrically, they keep fresh and strong, as they keep being polishedly detailed sonoricly. While it would be hard for an ORE album to be surprising without them re-inventing themselves, this album is more cohese than their last few, almost competing with the genious "Make Love, And War" of 2001. As far as books go, in 2016 I managed to read a bit more than in 2015, but still not enough. From those, I re-read the whole MegaTokyo series of Manga, and crossed it with the paralel series of books that are now being released as "Megatokyo: Endgames". Endgames is an MMORPG (some) Megatokyo characters play, and the events that happen in that virtual world obviously cross into their players' relationships... While the Endgames books can be read as fantasy novels, they wouldn't excel as such. But the fact that they're descriptions of what happens inside a virtual world - specially one that exists inside a fictional (Megatokyo) world entices me. With four volumes out there of the saga, I read three of them during 2016, and the fourth is alredy on my pile of books to read really soon. 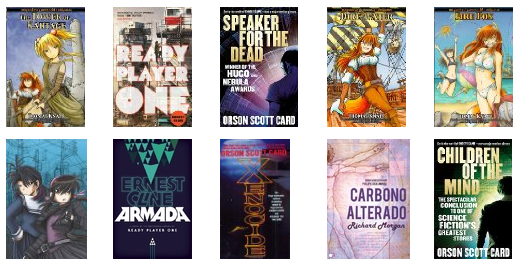 Unsurprisingly, the rest of my list has Sci-Fi books. I've read and enjoyed Ernest Cline's two novels (Ready Player One and Armada), and picked up on a saga I was planning to read for a while now: the Enderverse. I read the Ender's Game a long time ago, but only in 2016 I decided to pick up the rest of the saga, reading the rest of Ender's Saga. It will be no surprise to have The Shadow Saga on my 2017 favorites list. Finally, I read "Altered Carbon", a book that was given to me. While this wouldn't probably be my kind of scifi, this futuristic crime novel was very enticing. You'll probably soon hear about it, despite it being from 2002, since Netflix is working on a TV series based on this saga. If you want to read more stuff like this, check out my 2015 list. Otherwise... see you next year!